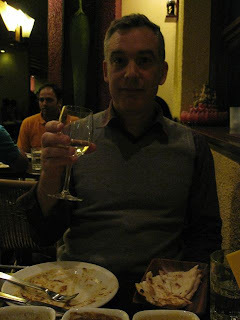 For my birthday Daniel bought me a cookbook called, simply, India. It has no less than 1,000 recipes in it and will no doubt become as well thumbed as one I already have called 660 Curries by the brilliant Raghavan Iyer. India is written by the fantastically named Pushpesh Pant. The last section of his massive tome is dedicated to recipes from the best Indian chefs from the ten or so best Indian restaurants around the world. No less than three of these restaurants are in Sydney and two of these are but a stone's throw from our door in neighbouring St. Leonards (as long as, that is, you throw the stone high because there's quite a hill to climb to get there). One of these restaurants, Qmin, has recently undergone a name change for some unexplained reason (we think it's a tax dodge or a bankruptcy thing). It is now called Mace. Which reminds us of knobbly old weapons or something you spray in attacker's faces. 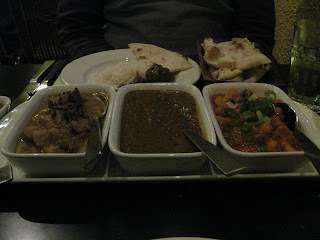 And although Qmin was excellent our hearts have been stolen away from their doors by Nilgiri's, just that bit further up the road but worth every additional step. 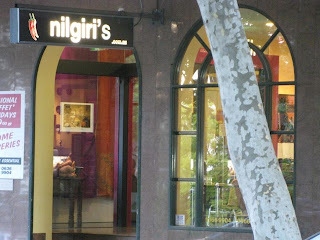 Nilgiri's is not very prepossessing as you can see above. 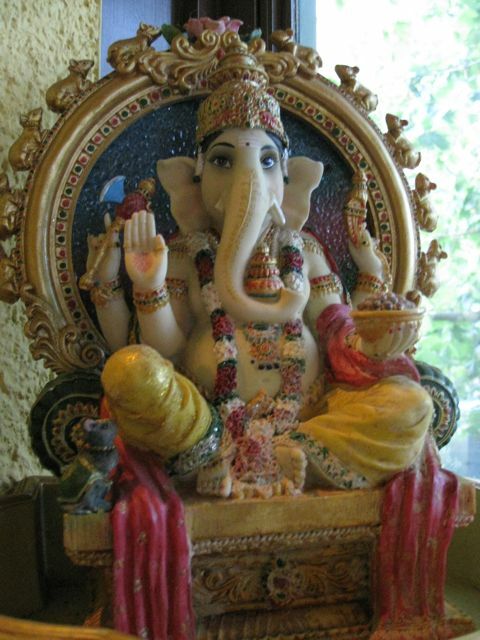 Inside it is not much better although they do have a collection of over a hundred Ganesha. But you don't come for the interior decoration, you come for the food. We usually decide on a banquet option where you can eat bits of nearly everything for not very much money (just over 40 dollars each; and as you can bring your own wine as well it is laughably cheap. Especially compared with its London equivalents. The Cinnamon Club in London charges £75 per person for their tasting menu....). 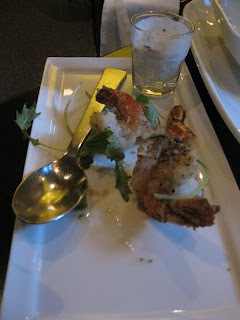 They even let us swap in dishes that we particularly want (these often involve prawns). So, last night we opt for the banquet option, swapping in some prawns as one of the starters. I'm taking photos of everything for the blog and let slip to the waiter, who asks why I am doing so, that it's my birthday. And thus begins a blow-out of massive proportions. 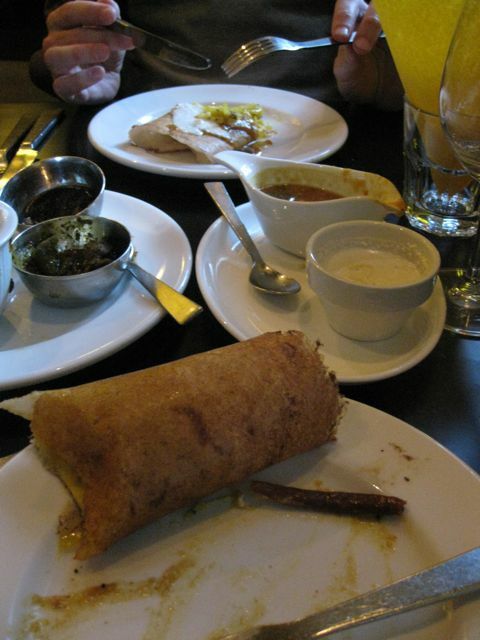 For after we've tucked into our poppadoms and pickles (chilli, tamarind and aubergine) two miniature masala dosas appear. "We didn't order those" we pipe up simultaneously. "Oh, compliments of the chef" says the waiter. Well, it would be rude not to eat them. 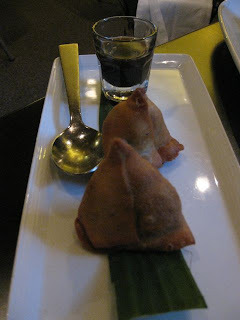 And they are light and delicious with a very fresh coconut accompaniment. 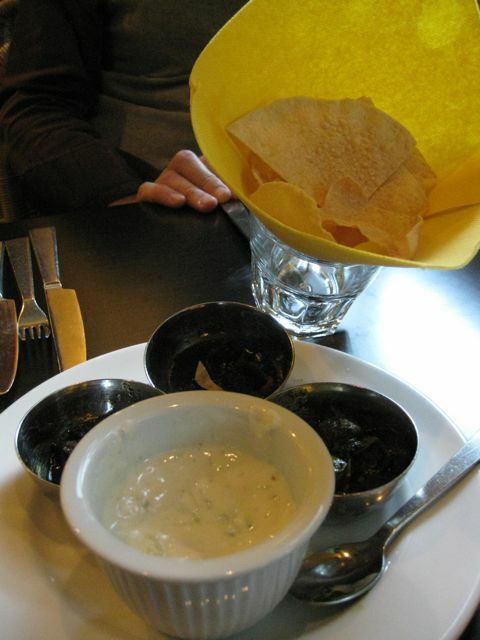 The two starters we did order arrive. We are not daunted. Stunning lightly peppered prawns and aromatic lamb with some handkerchief naan. All the breads are made by a broadly smiling bread specialist in full view of us all (the other chefs are hidden away behind him in a separate kitchen). 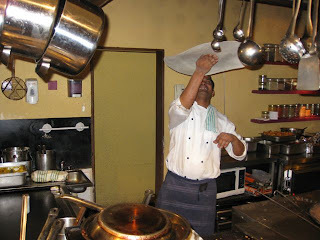 He spins the handkerchief naan in ever-increasing wild circles above his head, forever stretching and pummeling. We've now eaten three starters and are beginning to worry slightly about managing all three mains when our waiter pops up again and places ANOTHER starter on the table: "Chef's compliments for regular customers", he says. We thank him with a rather glazed look of appreciation. It is a pair of meat samosas, looking decidedly delicious...we gamely throw them down our necks, complete with the sticky sweet tamarind sauce which accompanies them. Quaffing our wine we have a little breathing space with no surprises before the rest of our dinner turns up. The main part of it to be exact. But you're only 46 once in your life, we're going to eat the whole damn lot (except perhaps all the lentils because Daniel's not keen and all the rice because there is an enormous mound). The chicken goes, the goat goes, the cauliflower and carrots go. 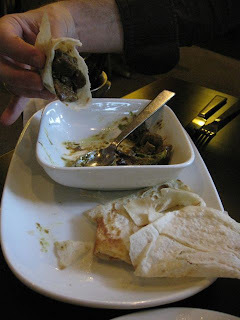 The naan goes. 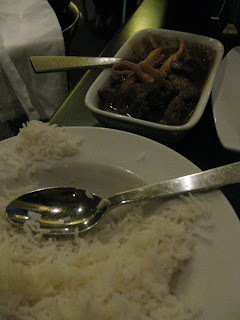 The rice diminishes. We're done. We're full. We can't move. Ever again. They'll have to hire a tractor just to get us out of here. Except Nilgiri's isn't done with us yet. 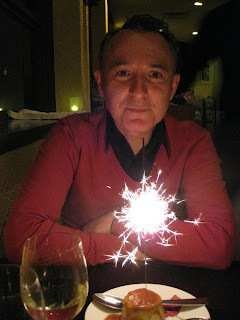 Along bashes the waiter carrying an ice-cream with a sparkler jammed into its centre doing its sparkling thing and thereby drawing everyone's attention to our table and to the fact that it is my birthday. Tomorrow we've got three people coming over for dinner. I'm going to cook Portugese.